The National Highway Traffic Safety Administration is supposed to be the government agency that protects us on the road. That stops us from getting into vehicular death traps. That saves our loved ones and ourselves from horrific ends. But it has failed, and the new government audit of its work is both damning and terrifying. This is what happens when the patients run the asylum. The Department of Transportation auditor’s report released today isn’t a tale of “Big Government gone wrong.” It’s a tale of what happens when elements of our government – including the politicians we elect, who are ultimately responsible – appear to simply not care. It goes beyond letting car companies get away with calling a fire a “strange odor,” as egregious as that may be. But from every appearance, it looks as if NHTSA has been set up from the get-go to be ineffective, to allow corporations to churn out what they will, how they will, and with minimal oversight and regulation. Violations were encouraged to be self-reported, and when they weren’t, nothing happened. This is a bit like getting caught committing a whole bunch of grisly killings, and then the cops asking you, very nicely, to write a brief summary of How Not To Murder. In another case, a recreational vehicle manufacturer just straight-up didn’t report anything about their products possibly killing people for damn near a decade. When NHTSA finally got around to asking why, ten years later, the RV maker hadn’t said a word about what was going on, the RV maker responded that its lack of compliance with the law was due to “internal miscommunication” and a software error. The audit report had nothing to say on what NHTSA did after hearing that lame excuse. But it doesn’t have to be this way. Really, it doesn’t, and not just in a moralistic sense, but in a practical one. One of NHTSA’s main issues is that it has no idea when it might be looking at a large problem, versus the standard flow of complaints and incident reports. Even when relying upon manufacturer self-reporting, there are standard practices to see through the murk that can be large amounts of data. And it’s not like it would take a statistics professor to figure it out, either. All NHTSA would have to do is to establish a baseline for complaints and incidents, based on what are known as early warning reports and costumer complaints. Here’s an example. Let’s say it knew that even in a perfect car made by General Motors, completely free of manufacturing defects and poor design, on average ten people would die in a GM car every month. So, in one month, nine people would die, in the next, 11 people would die, then eight, then 12, and so on. If in the following month, 114 people were killed in crashes involving GM cars, then NHTSA would know it had a problem on its hands. Specifically, [NHTSA’s Office of Defects Investigation] does not follow standard statistical practices when analyzing early warning reporting data, such as establishing a base case for what statistical test results would look like in the absence of safety defects. Consequently, ODI cannot differentiate trends and outliers that represent random variation from those that are statistically significant. In short, a middle school class learning about bell curves could do a better job than NHTSA. ODI staff charged with interpreting statistical test results for early warning reporting data told us they have no training or background in statistics. Three screeners assigned to analyze air bag incidents lacked training in air bags. One screener who was originally hired to review child seat restraint issues was assigned in 2008 to review air bag issues—without any air bag training and without an engineering or automotive background. And if those people working for NHTSA wanted training in different subjects, which apparently they did, NHTSA mostly told them to do it on their own time, and at their own expense. For example, the developer of one 18 statistical test that ODI uses to analyze early warning reporting data stated that the test should produce the same results every time for the same data input in the same order. However, ODI staff told us that different test runs produce different results, and management has not considered this to be a problem. Not like it mattered anyway to NHTSA’s managers. The people supposed to be doing all this work were apparently never reviewed by their supervisors, and the only time managers had anything to say about what was going on was when someone proposed the final results of an investigation. For example, the Defects Assessment Division Chief characterized his oversight of the initial complaint screener’s work as “minimal” and acknowledged that he does not provide much guidance to the initial screener. And if it wasn’t so sad, the problems would cross the realm into comedy. One NHTSA employee decided to investigate the effect of ice on a potentially defective brake component simply by putting it in the freezer. Another said he couldn’t smell the exhaust entering the cabin of a car, when subsequent work found that the elevated carbon monoxide levels were so high they would’ve violated OSHA regulations. But throughout all of NHTSA’s work, there was nary a hint of transparency nor accountability. And we haven’t even gotten to the fact that NHTSA knew that GM’s ignition switches were causing deaths, even before the bodies began to really pile up. Or that NHTSA’s self-designed self-reporting system almost seems as if it was purposely constructed so as to allow under-reporting to actually occur. Or how once this report fades from memory, the regulatory environment will still resemble the wild west more than the governmental body responsible for keeping people alive. 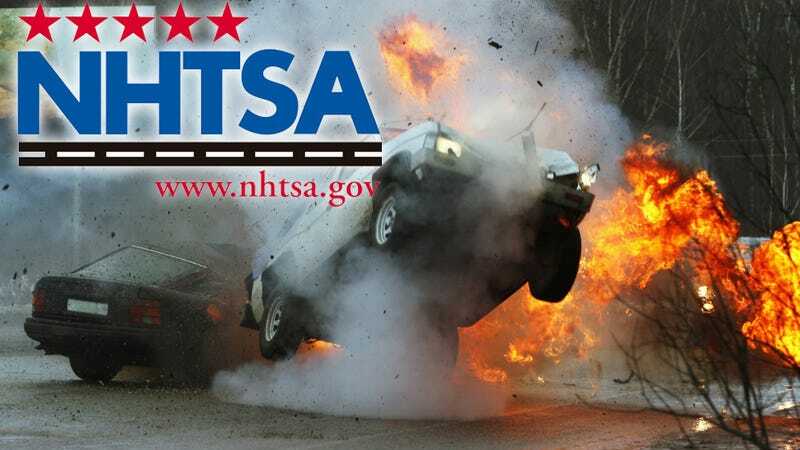 The audit report gives 17 recommendations for fixing NHTSA, including bringing in proper statistical analysis, implementing a real supervisory review process, and actually training people. Get rid of everybody, burn it all down, and start again from the top.